With complete control and scalability, Pura Vida saw email capture rates increase by more than 15% and sales conversions increase over 23% in one month’s time. Facing the complex problems of scaling a company, Pura Vida needed a reliable solution with powerful insights. Justuno’s Professional Services team guided the transition of all of Pura Vida’s marketing campaigns to ensure they didn’t miss a beat. After moving to Justuno, one of Pura Vida’s biggest pain points was solved from the start — data transparency. With Justuno, Pura Vida had full access to brand performance reports, including high-level metrics on acquisitions, clicks, conversions, and more. 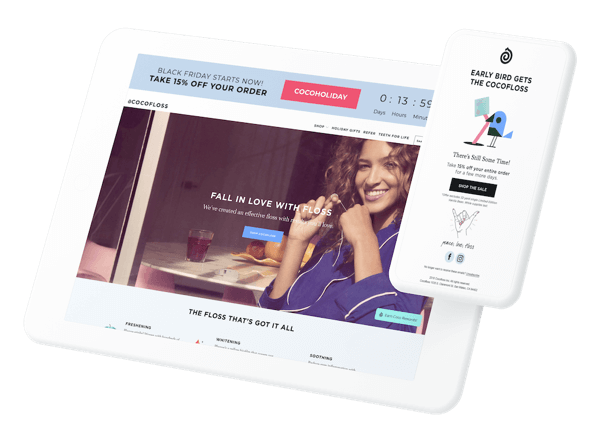 With Shopify Plus as the e-commerce foundation, Pura Vida built their marketing dream team with other best-in-class technologies that easily integrate with Justuno: Oracle Bronto and Bluecore. Justuno agency partner, Elite SEM, manages Pura Vida’s email marketing strategy, leveraging Oracle Bronto for marketing emails (ESP) and Bluecore for triggered and behavioral emails. Since moving to Justuno, we tripled our performance and have understood customer behavior during times of rapid growth!